The Meiji period was a time of great political and social upheaval in Japan - one that saw the country open its doors to the world, and end systems of government that had flourished for hundreds of year. The Meiji period is an era in Japanese history which spans from 1868, when the Meiji Government was formed (also often called the Meiji Restoration), to 1912 when Emperor Mutsuhito passed away. After his death, Mutsuhito became known as Emperor Meiji. The long era of the samurai ended, and, with the aim of rebuilding the country with the emperor at the center, the capital of Edo was renamed Tokyo. For the Japanese people, the Meiji period carries with it the image of the spread of Western culture and the beginnings of modernization in Japan. If you strike a zangiri atama, it makes the sound of Westernization. So goes the lyric from a song that was popular in the Meiji period, when cultural exchange with foreign countries was all the rage. From: Let The Last Samurai Guide You Around Kyoto In English! Zangiri atama refers to the recommended men's hairstyle at the time, which was said to make its owner into a new, modern man. The haircut involved chopping off the chonmage, the traditional topknot associated with samurai. Westernization, or bunmei kaika, literally 'the opening of culture' in Japanese, refers to when Western culture first entered Japan at the beginning of the Meiji period. This was a time when Japanese systems and customs underwent numerous, drastic changes. When most Japanese people hear this phrase, they think of Western-style clothing, shoes, silk hats, Western foods such as bread and meat, and horse-drawn carriages. Others may think of men and women dancing in Western-style dress at the Rokumeikan, the state guest house for foreign guests constructed by the Meiji Government. However, not everyone could afford Western clothes, and so the common man continued to wear kimono. From: Let’s Go To The Tomioka Silk Mill In Gunma! The Meiji Period also brought with it the Industrial Revolution and the development of capitalism. Gunma prefecture's Tomioka Silk Mill, which last year became a World Heritage site, was one of the first factories to be established by the Meiji government for the purpose of modernization. It's the largest silk mill in the world, and blends together Western and Japanese technology and architecture. The building itself was constructed using a unique combination of Western bricklaying and Japanese wooden framework. Today, it still stands in its original form, and you can even tour its interior. For those interested in the Meiji period, and how it formed the basis for modern Japan, we recommend visiting the Meiji Village in Inuyama, Aichi prefecture. It's an expansive theme park-style museum, full of historical buildings and attractions. 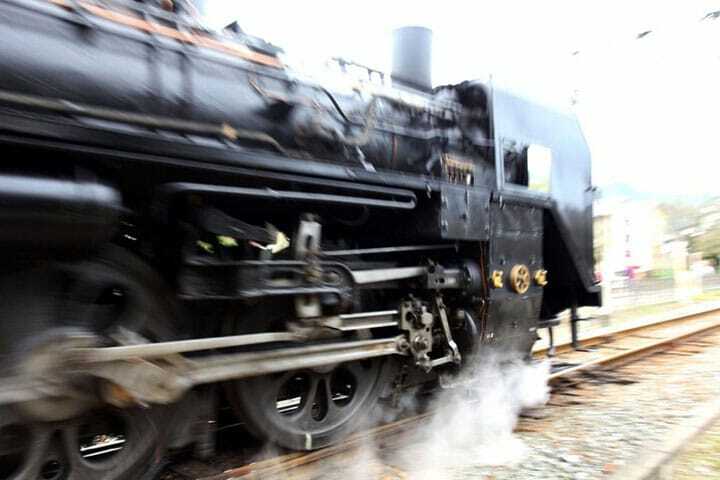 You can hop on the steam train, tram, or retro-style bus to view the different areas of the museum and experience the Meiji period for yourself!